September 25 marks the 110th anniversary of Russian composer Dmitri Shostakovich's birth. We have compiled some of the most interesting facts about the work of the man who wrote the famous "Leningrad Symphony." Dmitri Shostakovich decided to connect his life to music in childhood. In 1919, when he enrolled at the Petrograd Conservatory, the revolution had just died down, World War I was over, and a civil war was raging in the country. It was cold in the Conservatory classes, but Shostakovich had no intention of giving up music and went to concerts at the Philharmonia every day. In 1923, he passed the examination for the position of a film accompanist, or a pianist for silent movies. During a 90-minute movie, Shostakovich would improvise. He kept, developed and repeated the musical fragments that he liked, creating a specific tune for each character. Following in the footsteps of another famous Russian composer, Sergei Rachmaninoff, he intended not only to write music, but to perform concerts as well. In 1927, Shostakovich took part in the first International Chopin Piano Competition. In Warsaw, he performed several of his works, but received only an honorary diploma. Shostakovich graduated from the conservatory at the age of 19. He wrote Symphony No. 1 as his graduation piece. The work was heard by the head of the Berlin Municipal Opera, German conductor and composer Bruno Walter. He immediately asked Shostakovich to send the score, and the first performance of the symphony abroad took place in November 1927. After Walter, Shostakovich's work was conducted by Leopold Stokowski and Arturo Toscanini. The composer began writing his Seventh Symphony in September 1941, during World War II. In Leningrad, he composed three parts of the work, and finished working on it in Kuibyshev (now Samara) in December. In August 1942, the Seventh Symphony was performed at the Leningrad Philharmonic. Despite the difficult conditions of life in the city, the starving musicians found the strength to rehearse and then perform before an audience. The venue was packed. And although the city was continuously bombed, the lights in the building were kept on. The symphony was listened to by all of Leningrad and the whole world as well: The score was delivered to Britain and the United States on microfilm. Shostakovich is well known as a creator of large music works. He wrote 15 symphonies, three ballets and three operas. However, the composer's interests were much wider. 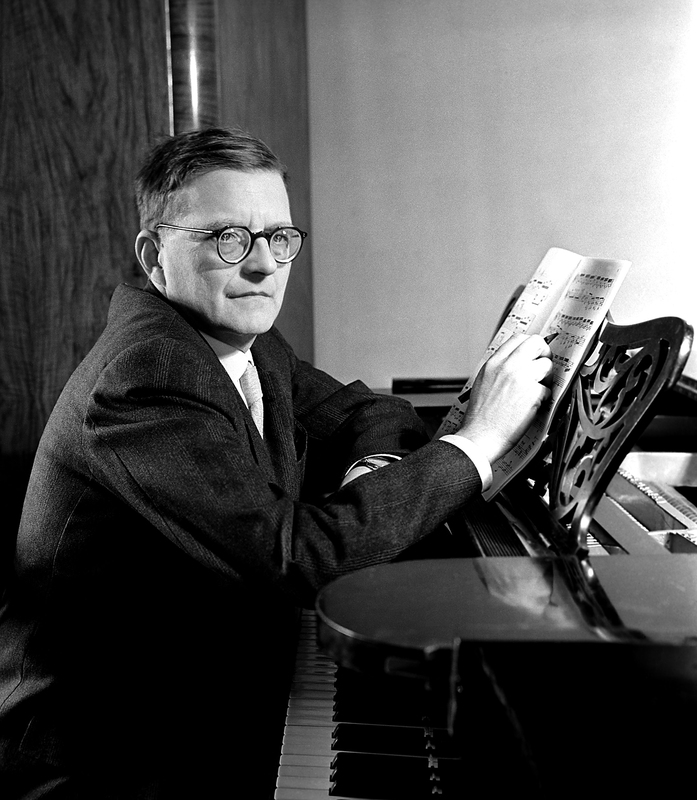 Shostakovich is the author of a piano cycle of preludes and fugues, the operetta Moscow, Cheryomushki, film music, symphonic poems and song cycles based on poems by Yevgeny Yevtushenko, Alexander Blok, Michelangelo, Guillaume Apollinaire and Federico Garcia Lorca. A fragment of the song "The Motherland Hears – The Motherland Knows" to Shostakovich's music became a signature tune for the All-Union Radio: Woven into the piece of music were call signals from the first man-made satellite. This song was hummed by Yuri Gagarin during the landing. The song soon became the theme song of the Soviet space industry. The Nose, a satirical short story by Nikolai Gogol, was the basis for one of Shostakovich's most famous works – the opera of the same name. Among the authors of the libretto, in addition to the composer, was author Yevgeny Zamyatin. The first production was unsuccessful: The opera was removed from the repertoire after 16 performances. The Nose did not receive international fame until the 1960s, when it was staged not only in Russia but also abroad. Interest in the opera re-emerged in the 2000s. The Nose was staged at the Mariinsky Theater and at the Rome Opera House, where it was directed by Peter Stein. In 2010, it appeared in the repertoire of the Metropolitan Opera – The Nose was then directed by artist William Kentridge.